Our biggest compliment occurs when a dentist or another patient from Coastline Orthodontics refers another great patient like you to us. Our 5-star-rated orthodontists in Jacksonville, FL, Fernandina Beach, FL and Macclenny, FL look forward to meeting you! The first step to see which braces or orthodontic treatment you may potentially need is to schedule your complimentary Coastline Orthodontics Smile Assessment. During your initial exam for braces, our orthodontist will take digital x-rays, perform a complete exam, and provide you with a comprehensive treatment consultation. After educating you on your options, together we will discuss what type of braces or other orthodontic treatment, if any, makes the most sense. If you are reading this page as a parent considering treatment for your child, you may be wondering at what age you should bring your child in for an initial exam with one of our orthodontists in Jacksonville, Fernandina Beach and Macclenny, FL. The American Dental Association recommends your child have an exam as early as the age of 7. While braces and orthodontic treatment may not start that early, the earlier we see your child, the more options we will have for treatment – and typically less treatment time will be required. To take advantage of your free, no-obligation Coastline Orthodontics Smile Assessment, call us at 904.751.6030. To contact us online, click here. We look forward to meeting you! The offices of Drs. Rodeffer, Garner, and Minor Orthodontics are by far the best orthodontists in the business. The staff is courteous and very friendly! Five Star Service!!! My daughter was always seen on time and we were always consulted about what would happen next.You feel like family here and always are leaving with a smile. Such a great environment and the best staff and professionals. Love you all. I waited ’til I was 55 years old to get braces. From Day 1 I never regretted it. Now I have beautiful teeth and a great smile….Everyone was very friendly. Always enjoyed coming in. Thanks for everything. This is such an awesome office! The staff and providers are unbelievable. Always felt welcomed. You are the BEST. Best place ever to get braces! Extremely satisfied with the results I got Best place ever to get braces! Extremely satisfied with the results I got ! *The reviews listed are from actual patients of Coastline Orthodontics. Individual results may vary. Reviews are not claimed to represent results for everyone. 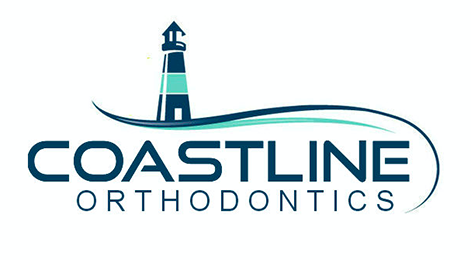 The Jacksonville FL orthodontist, Fernandina Beach FL orthodontist and Macclenny FL orthodontist of Coastline Orthodontics offer the most advanced braces for children, braces for teens and braces for adults. These types of braces include metal braces, clear braces and Invisalign. We can even help you get straight teeth faster with AcceleDent. Come experience Coastline Orthodontics! You will see we offer effective and affordable braces in Jacksonville, North Jacksonville, South Jacksonville, Jacksonville Beaches, Ponte Vedra, Fernandina Beach, Amelia Island, Macclenny, Callahan, Yulee, Baymeadows, Southside, FL and St. Mary’s and Kingsland, GA. Call 904.751.6030 today for your free consultation for braces at either our Jacksonville orthodontic office, Fernandina Beach orthodontic office or Macclenny orthodontic office.